Dental fillings containing mercury contribute to the accumulation of mercury in the environment. Known as dental amalgam, a compound of mercury (Hg, 43- 54%) and other metals, it is the largest use of mercury in the European Union and a significant source of pollution – current estimates state that 1,500 tonnes of mercury is currently contained in the bodies of EU inhabitants. 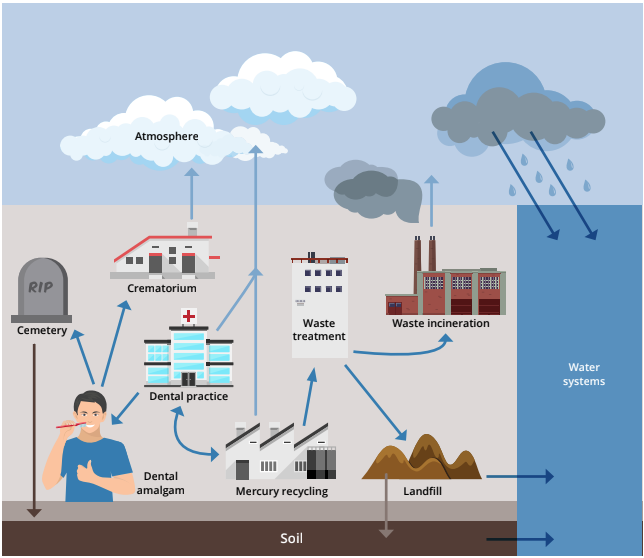 Processes such as cremation or dental amalgam extraction represent a potential route into the environment for mercury - an extremely toxic and persistent metal considered one of the WHO’s top ten chemicals of major public health concern. 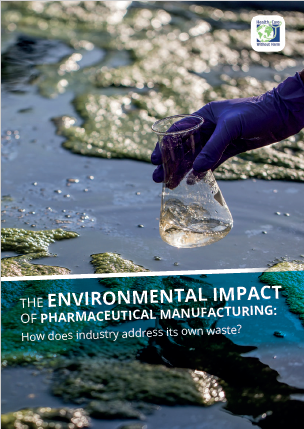 Over 40% of EU water bodies have also been shown to exceed mercury concentration safety levels; when present in the environment, mercury can be converted into its most toxic form: methylmercury, which builds up in fish, seafood, and humans. Mercury has been detected in human blood, urine, milk, and hair and human biomonitoring studies show that fish consumption is the largest source of dietary exposure to methyl­mercury. In May 2017, the EU institutions formally adopted the new Mercury Regulation to facilitate a phase-down of mercury use in dentistry. Coming into force at the beginning of 2018, the regulation mandates important time-bound restrictions for Member States’ use and disposal of dental amalgam in dental practice. 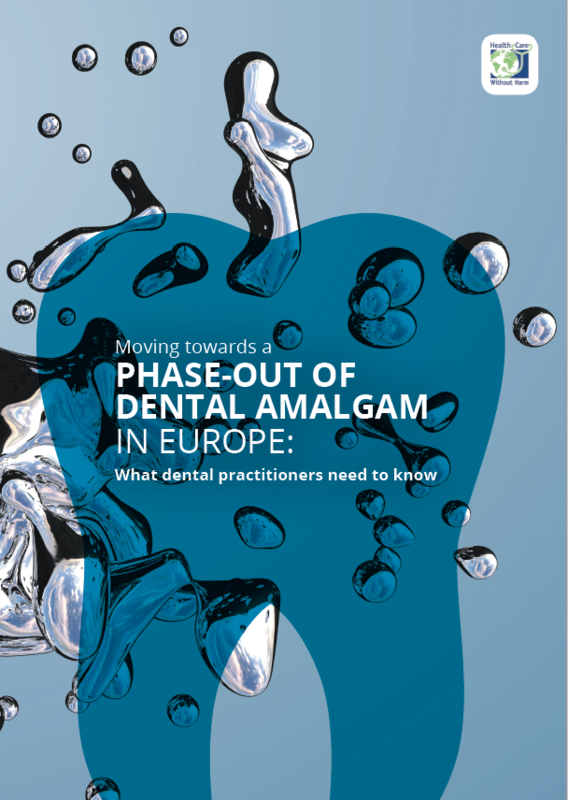 Moving towards a phase-out of dental amalgam in Europe supports dental practitioners with information on the new EU Mercury regulation and highlights the environmental risks of dental amalgam. 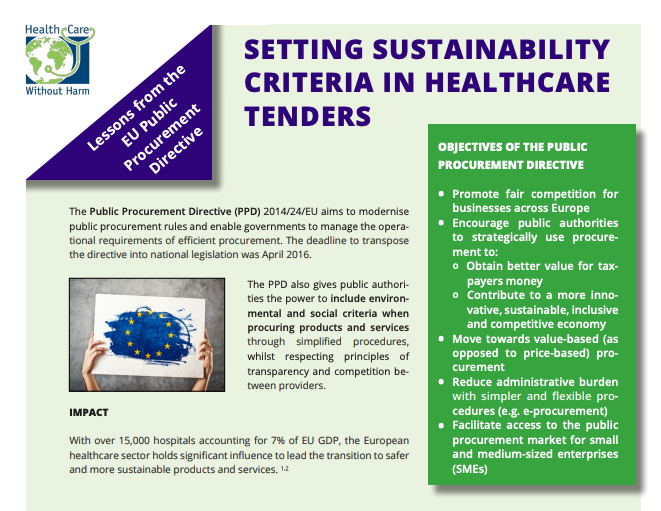 Summarising the key actions required by the new regulation, we also provide recommendations for dental practitioners as they become responsible partners in the phase-down of dental amalgam in Europe. Going forward, dental practitioners and associations should take responsibility for the envi­ronmental impacts of their work and advocate for the phase-out of dental amal­gam. In the lead-up to the 1 July 2019 deadline for national action plans, HCWH Europe has also created an online tool to track Member States’ progress towards implementation of a phase-out for vulnerable groups, as well the other phase-down activities of the EU Mercury Regulation. 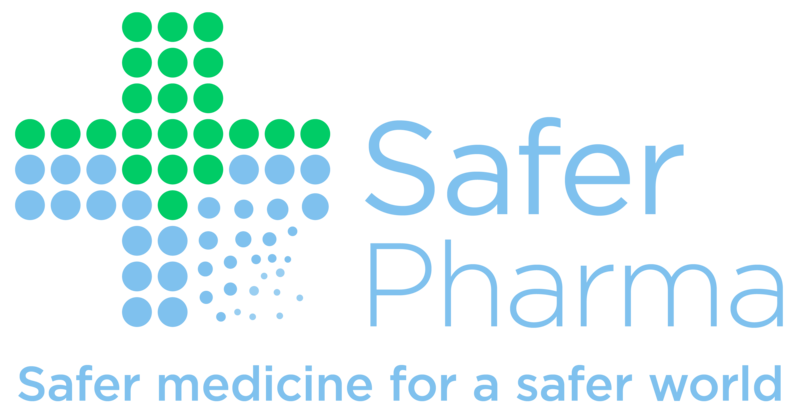 To stay up to date on our sustainable procurement and safer chemicals work, please sign up to HCWH Europe’s newsletters.